Your operation is growing and your labor costs are increasing. Management wants you to do more with the same amount of money (or less) next year. You need to find ways to keep costs down while improving your operations at the same time. What can you do? In a typical manual warehouse, inventory data is always out of date. By the time a warehouse worker gets a pick ticket, retrieves the product, and manually enters the information into the manual inventory tracking system, the numbers are generally already inaccurate. With an automated system, however, there is no delay in updating the inventory management system. When a worker picks a product, that information is automatically instantly relayed to the WMS system and updated in real-time. When you implement warehouse management software, you may find that you could have been fitting more product onto your shelves! The WMS assigns every product a specific location and bin number in the warehouse, based on the size of the bins and the amount of product kept in inventory. The lesser used inventory is often assigned to higher shelves or in out-of-the-way places within the warehouse, while the more popular items can be kept on lower shelves and near the shipping area. This approach maximizes the use of your warehouse shelves and allows you to be more efficient within the your allotted space. With exact locations provided by the warehouse management system, and the most popular items assigned closer to the packing/shipping areas, warehouse workers can pick orders faster and without the excessive need to go to remote parts of the facility. This preserves physical energy and reduces the unnecessary use of fuel for forklifts. The strategic location-assigning could also allow for a reduction in the amount of electrical energy needed, as areas of the warehouse that are storing slower velocity items could use less lighting or climate control (depending on stock type). Implementing an automated warehouse management system means product will need to be handled using strict procedures. Predictable, consistent handling of products will dramatically reduce the amount of risk for damage and waste produced within the warehouse. 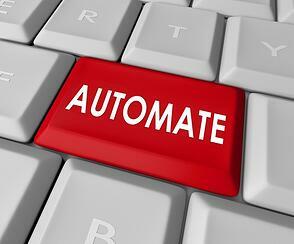 Automation helps maximize the efficiency of any warehouse operation over time. By providing smoother, more predictable operations and helping to streamline storage, retrieval, and packing efforts, most warehouses experience a reduction in employee injuries and thus fewer workers' comp claims as well as fewer lost days to on-the-job injuries. This benefits both the employer and the employees. Modern warehouse management software packages give warehouse managers the ability to identify inefficiencies and address them. They show how long it takes an average warehouse worker to pick orders. They also show which workers are most efficient and which ones need extra training. Additionally, they identify which products are bestsellers and which ones barely move, which helps improve warehouse layout and pick paths. Each of these benefits show why automating your warehouse systems is a good idea. While the initial set-up of the warehouse management software and equipment will take some effort, in the long run you will have improved operational efficiency along with notably reduced costs. How might automating your warehouse operations impact your facility?